In October 2011, Denmark became the first country in the world to introduce a fat tax on meat, dairy products and cooking oil. The centre-left government now plans to abolish the tax in January 2013. The previous right-wing government introduced the fat tax to limit the population’s intake of fatty foods. 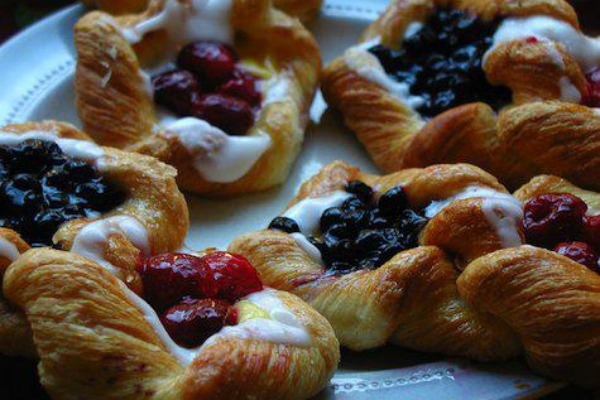 The Danish National Health and Medicines Authority says 13% of the Danes are obese. Other nations such as Hungary and Britain have also discussed introducing fat taxes as part of a solution to obesity problems. “These taxes created big administrative costs. This is not what we need in this economic situation,” Danish Minister for Taxation Holger Nielsen said in a statement, adding that the government had listened to the “concerns” that had been raised. Instead, the Danish government is to launch a new tax and competition plan. “With the new plan, we will keep jobs in Denmark, reduce border trade and the companies’ administrative costs. This is good,” said Margrethe Vestager, minister for Economic Affairs and the Interior. The vice president of the Danish Grocers’ Trade Organisation (DSK) Claus Bøgelund Nielsen said his members had experienced both a decline in revenues in their shops and a lot of unnecessary administrative work. “The politicians have finally realised that our and other people’s predictions have come true. The fat tax created administrative burdens, a dramatic rise in border trade and uncertainty among consumers about what food products should cost. To be honest, I’m sad that I was right about this,” Nielsen told EURACTIV. Nielsen said that because of the fat tax, DSK members who imported food products from other countries had spent many hours trying to explain foreign food producers how the Danish fat tax worked. For example, they would try to explain a lasagna maker in Italy that the tax only applied to saturated fat and only special types of saturated fat, and then leave it up to the lasagna producer to figure out how much of the lasagna would be hit by the fat tax. “That was a burden without comparison and a huge problem,” Nielsen said. In shops, the fat tax has had a big psychological effect on consumers. “The rise in the price on single units was actually limited, but the fact that we all talked about the new tax … that created a notion among consumers that if they went abroad, it would probably be a good idea to bring home some of the daily food products,” Nielsen said. According to DSK, the Danes’ border trade in Germany concerning daily food products has increased dramatically and effectively more than can be justified by the raised taxes. Three months ago, a survey by DSK showed that the Danes’ border trade in Germany had sky-rocketed. The poll showed that 60% of Danish households had bought beer or soft drinks in Germany within the past year. Only four years ago, 60% of the households said in the same survey that they “never” traded at the German border. Nielsen said he is pessimistic when it comes to the border trade in Germany, adding that it would probably continue at a high level as a new “rhythm” has been created. “The change in behaviour which has happened among the consumers will unfortunately probably continue in the long run even when the Danish groceries adjust to the new lower prices,” DSK’s vice president said. He added that Denmark had lost many jobs in the retail sector due to the fat tax, but it would be too difficult to estimate exactly how many, and the country is unlikely to get them all back. However, many administrative jobs were also created as a result of the fat tax, Nielsen joked. Whether the fat tax did work according to its intention, to improve public health, remains to be seen. According to statistics from FDB, Denmark’s largest consumer goods retailer, Danes had started changing their eating habits because of the tax. Between November 2011 and August 2012, consumers preferred buying meat with 6-8% fat instead of meat with 8-12% fat. Overall, FDB’s retail businesses sold six tonnes less of fat during those months. Research has also shown that during the first three months after the tax was introduced, the sale of butter, oil and margarine fell 10-20% in Denmark. However, Nielsen stated that the fall in butter consumption had nothing to do with the fat tax. It’s a trend that has been going on for years. “The past many years, there has been a small decline in the butter sale every year because we have healthier lifestyles now than previously. People don’t buy margarine anymore. They buy olive oil and fry on a dry pan,” Nielsen stressed. “We have witnessed the same trend with milk where people now drink skimmed milk instead of whole milk. So there’s nothing new in those figures,” DSK’s vice president said. "Introducing taxes on certain nutrients or foods has never been recognised by international organisations, such as the WHO, the OECD and the European Commission, as a panacea for public health. It usually affects citizens with lower income as food taxes increase prices and impacts the competitiveness of national enterprises, putting jobs at risk. "The margarine sector believes that a systematic approach based on nutrition education and promotion of physical activity is needed to change consumer behaviour and reach balanced diets. IMACE, the European Margarine Association, is open to partnership with public health organisations, civil society representatives, government, and industry to launch collaborative public health policies that have better chances of reaching out to everyone." On 1 October 2011, Denmark got a 'fat tax' in order to battle unhealthy lifestyles. The fat tax - of 16 crowns (€2.14) per kilo - was applied to meat, dairy products and cooking oil which consist of more than 2.3% saturated fat. In 2012, the Danish government has so far introduced higher taxes on beer, wine, chocolate, candy, sodas, ice cream, coffee, tea, cigarettes and light bulbs. The government also considered introducing a sugar tax from the beginning of 2013 that was going to add an extra 1.3 billion crowns (€175 million) to the state budget. 1 Jan. 2013: Denmark's fat tax to be abolished. It is interesting that there is no mention in this article about personal freedom. It’s all about economic costs to producers, as if consumer preferences were unimportant. This tax should have been opposed strictly on the grounds of personal freedom. The tax is based on wrong information about fats. The only fats linked to weight gain are the refined oils used for cooking and made into margarine. These oils are also independently linked to cardiovascular disease, diabetes and cancer. The fats in milk do not contribute to weight gain and actually protect against these diseases. Measures to reduce obesity must be based on solid science, not the shady marketing that tends to formulate policy in the U.S. I completely agree with Mr.Barron.The tax did not discuss anything about personal freedoms when the tax was established.We have the same problem of obesity in the US but it is not due to high fat intake alone,but mainly due to the high intake of carbs,ie.refined sugars in soda and desert foods.This was going to be addressed in the 2013 tax on sugar-based foods.What was really needed was a national tax deduction for people joining health clubs and weight loss enterprises that promoted optimal weight thru healthy eating.However,when looking at the cost of feeding a family it protein that is costly and carbs and fats that are relatively cheap.Therefore shifting people’s food buying even as early as children’s purchasing of foods in school.Laying the foundation to the way people go to the grocery store in later life.Denmark needs a multifaceted approach at dealing with obesity and repealing the the fat tax was not necessarily the answer. It’s better to launch awareness programs on fat loss techniques which include the introduction of blue fat freeze kit and HIIT exercise techniques. Both are gaining popularity and when done in combination will lead to serious weight loss.